We know it can rain in the UK but this weekend’s water levels were positively biblical. The poor weather set in on Friday and stayed throughout Saturday, with heavy mists being replaced by heavy rain and wind. 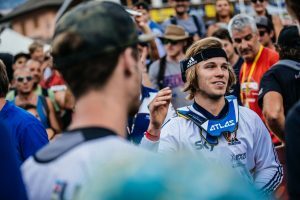 The wind and water combinations bought the weekend racing to standstill on the saturday, with conditions being too dangerous to run the Gondola, meaning qualifications had to be postponed until the Sunday morning. Fortunately, on the big day the weather smiled upon the sodden populace of Fort William, with the sun coming out to ensure both qualies and finals ran smoothly. 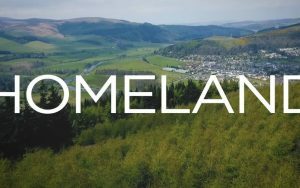 Three times world downhill champion Greg Minnaar was back with an unexpected bang this weekend in Fort William. 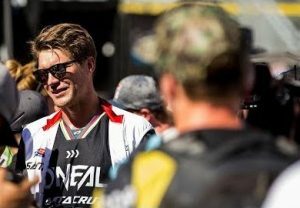 Minnaar came down the mountain having qualified in a fast fifth to dethrone the dominant looking Aaron Gwin and take his first podium of the year, and his first top spot since 2013. 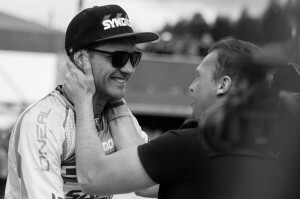 The Syndicate racer now equals legendary team mate Steve Pete’s record of 17 world cup wins and takes home the prestigious title of most Fort William world cup wins. The world champ hasn’t had quite the start to the season she would like being a little off the pace with a fourth at the first round in Lourdes. Having qualified first at Fort Bill she came down the hill looking strong but suffered a huge over the bars in the final straight after she cased the Visit Scotland jump. Not to be deterred however, she still came home on the podium, with an impressive 4th place. Likewise, Lourdes’ winner Emmeline Ragot took an over the bars crash but still placed 3rd on the box in Fort William. 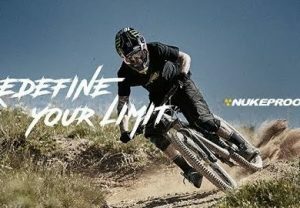 Mountain biking is slowly spreading its wings and Fort William demonstrated this perfectly when Marcelo Villegas Gutierrez became the first columbian to take a podium spot at a world cup event. 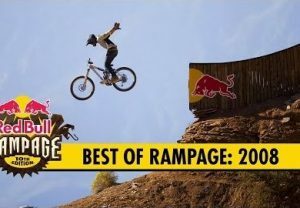 The Giant factory rider has performed well in world cups, taking a 10th at Leogang in 2012 and putting top performances in at the mad urban downhill races. Atherton seems to have bounced back from her 2nd place in Lourdes, where she was 2 seconds back on Ragot to lay down an extremely dominant race run. She took the win by 6 seconds over 2nd place Tahnee Seagrave (a personal best result) and 3rd Place Ragot. Atherton looked in charge, being fastest over every split. Whilst Gee couldn’t follow suit with a top step he did manage 4th place, looking like he was putting the trademark Atherton power down along the motorway section. 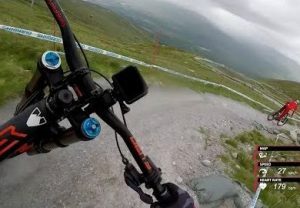 Fort William is known as a track that has it all; open, rocky sections at the top before plunging into the deep dark woods lower down the hillside. 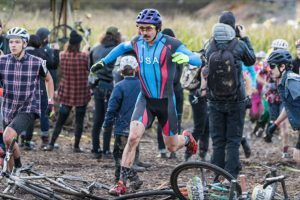 The woods retained all the moisture that fell throughout the previous days, creating a steep mud chute covered in slick roots that caught many riders out. 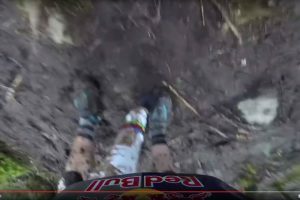 It added an extra level of tech into an already gnarly course, bringing both Gee Atherton and Josh Bryceland to pretty firm stops when both collided with the same tree in practice. The fancy dress and heckling was out in force for finals on Sunday and the unexpected sunshine seemed to give the spectators an extra boost. The fact that there were spectators at all after the amount of rainfall was no small achievement, and the fact they came out in such numbers, lining the track, and filling the grandstand was extra special. 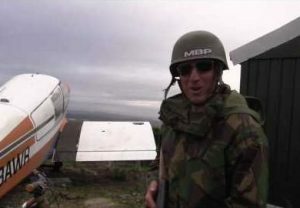 Plus, the tight racing gave the ammunition needed to get the chainsaws roaring and cow bells singing. 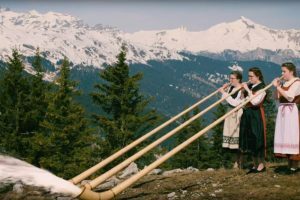 Martin Maes’s name is one that crops up time and again and each time it seems to be behind something remarkable. 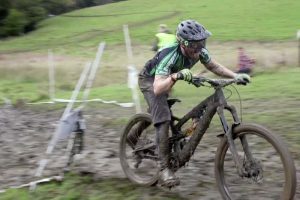 Whether it is a 4th place at the Irish Enduro World Series or 1st this weekend in the Juniors race at Fort William, Maes continues to prove he really is a man of many talents and certainly a future star. 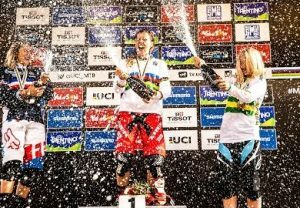 Whilst it was a great result for the Santa Cruz Syndicate in the form of top honours for Greg Minnaar it must have been disappointing to have last years overall winner come down in 31st place after suffering a nasty blow to the shoulder in a crash in practice. The season is yet to truly kickstart for Bryceland, who took a 7th at Lourdes and currently sits in 11th overall. 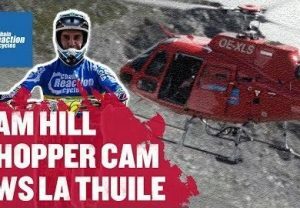 It’s no surprise though, considering the injury he sustained at Hafjell World Champs last year. Likewise, the Syndicate are yet to be able to race Peaty, who remains out of action following surgery on his leg. It’s been a while since we last saw Stevie at a round of the World Cup, having been hampered by injuries he missed out at Lourdes. 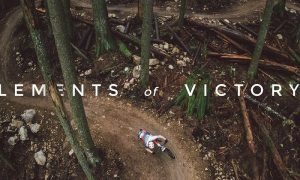 We last saw Stevie in Unreal’s two wheel drifting sequence where he once again injured himself. 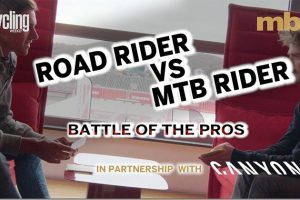 Fort William saw the return of the Canadian to racing, and with an impressive 9th in qualifications things looked promising. However, it wasn’t to be when finals came around, with Stevie getting caught up in the wood section he had to settle for 25th.